Boil potatoes till cooked, then cool. peel and chop onion to preference. I like mine a little chunkier. Fry in butter till soft and tender. Add onion and butter to potato and mash together. Goes great with mustard pickles! 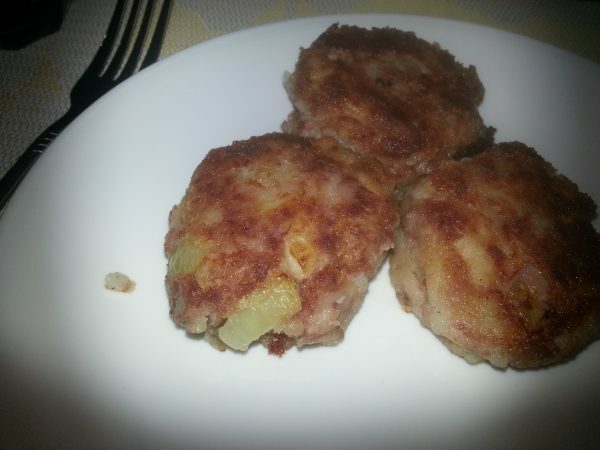 Note: For a more traditional taste, fry the patties in rendered salt back pork fat!